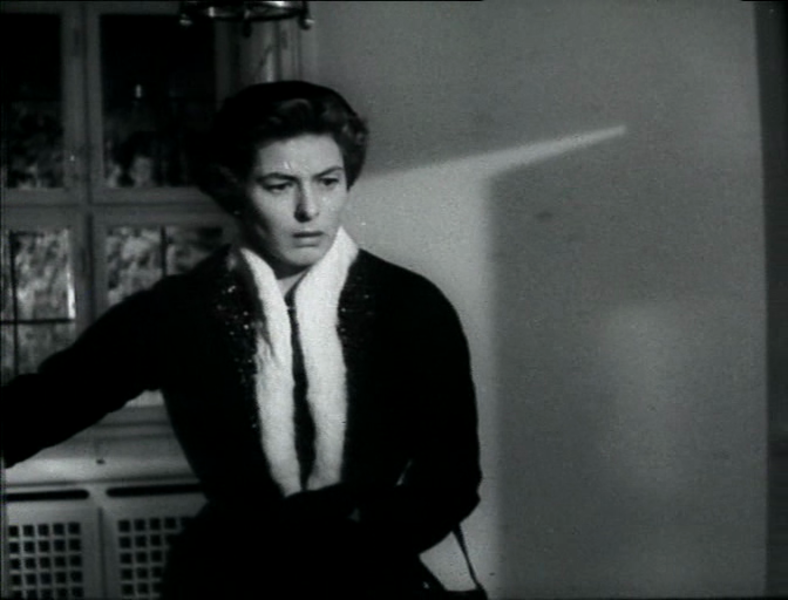 Roberto Rossellini directs his then-wife Ingrid Bergman in the suspenseful drama La Paura (Fear), based on the book by Stefan Zweig. Guilt-stricken Irene Wagner (Bergman) is forced to hide her secret affair with Erich Baumann (Kurt Kreuger) from her husband, Professor Albert Wagner (Mathias Wieman), a scientist in the midst of a serious breakthrough. However, Erich’s ex-girlfriend, Joanne (Renate Mannhardt), finds out and threatens blackmail. This throws Irene into a fit of homicidal and suicidal rage. 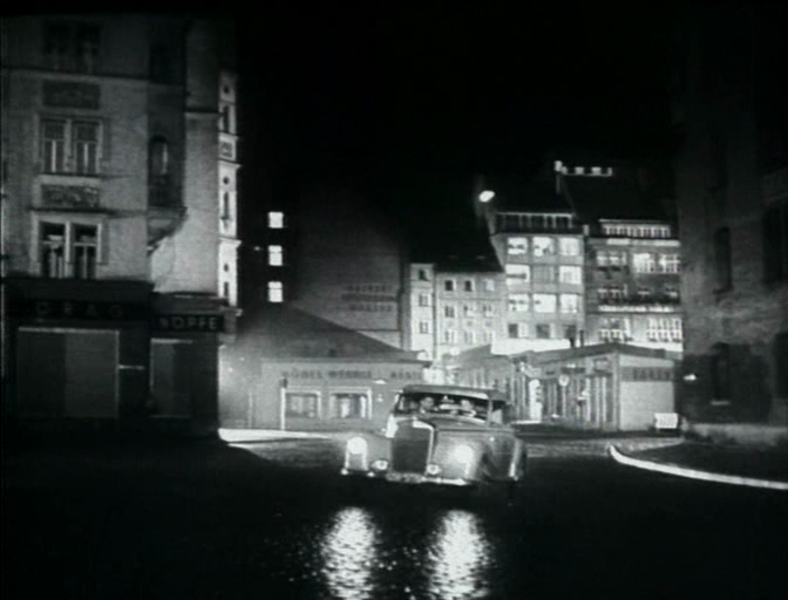 La Paura is an atypical entry in the Bergman-Rossellini film canon because of its German expressionist style and psychological plot twists. 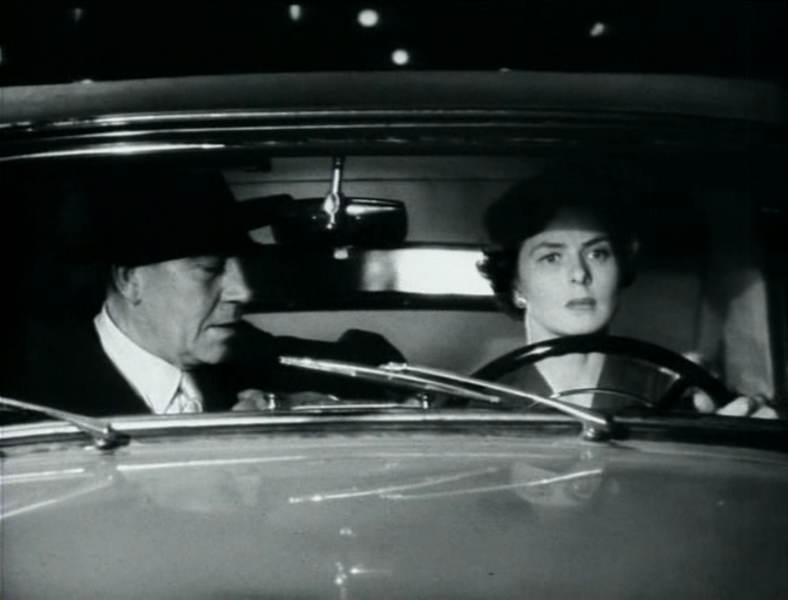 Though Rossellini’s films with Miss Bergman, including “Stromboli” and “Europe ’51,” never created a popular stir in their own day, they now constitute one of the more moving personal records of a love affair ever to be contained in supposedly commercial motion pictures. “Fear,” adapted from the Stefan Zweig story, “Angst,” is about the absolute end of trust in what must at first have seemed a perfect marriage. 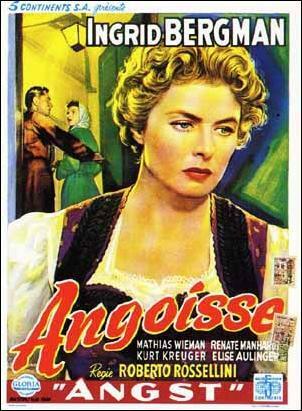 It’s the story of a wealthy, able German businesswoman (Miss Bergman) who submits to the terrors and humiliation of blackmail in order to preserve the innocence of the husband she adores, but whom she systematically undercuts at home and in his career. “Fear” is not especially concerned with what went wrong in the marriage. Its subject is the depth of a bitterness that can pass for love. It’s a simply but beautifully constructed movie that is far more austere than the elegant clothes and upper-middle-class decor would indicate. Even while he was closing out this phase of his film-making career, Rossellini was apparently preparing for the series of great teaching films that were to be the obsession of his last years. Miss Bergman is splendid in a role that quietly hints at her bravura possibilities realized by Ingmar Bergman in last year’s “Autumn Sonata.” Matthias Wiemann plays her husband, a fellow who has apparently spent time in a concentration camp and whose profound feelings provide the film with its unexpected revelations.